Moody’s described the reasons for the downgrade in a press release. 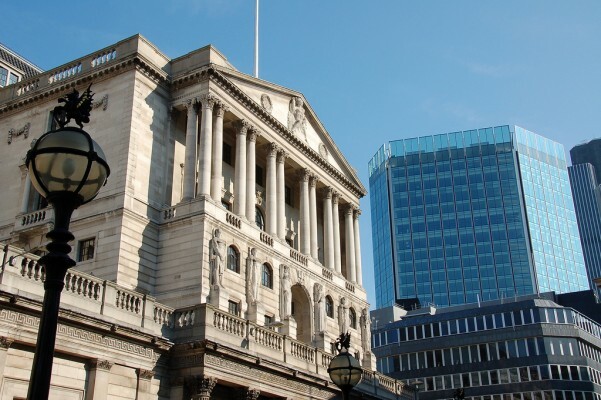 They said that the ‘key interrelated drivers’ of their decision were ‘the continuing weakness in the UK’s medium-term economic outlook,’ the certainty that the government’s fiscal consolidation programme, billed to take only one parliament, would now ‘extend well into the next parliament,’ and the UK’s ‘high and rising debt burden.’ The Bank of England was also downgraded to AA1. Lord Lamont speaks for a large section of the Conservative party. Other former government members have come forward to support the idea, expressed by former Conservative Chancellor Lord Lawson, that the ‘basic thrust’ of the Coalition policy was correct. Other Conservative voices called for more, deeper cuts. Conservative backbenchers called for cuts to corporation tax and capital gains to revive the flagging economy. The government, it seems, is unlikely to make significant deviations from its present course – assuming George Osborne survives politically. In Parliament on 25 February Shadow Chancellor Ed Balls called him the ‘downgraded Chancellor,’ recalling John Smith’s description of John Major as a ‘devalued leader’ in the aftermath of 1992’s Black Wednesday. Currently, Mr. Osborne’s opponents in his own party have consisted of some who have urged him to greater cuts on the records, and others who have personally criticised him anonymously. The risk to his political career will come when those critics go on the record. The principal danger that’s associated with the loss of the AAA credit rating is damage to the economy as the country faces rising credit costs, particularly interest rates, and weakening currency. Mansoor Mohi-Uddin of UBS writes that ‘the pound is undergoing a sharp devaluation against the other currencies.’ However, while the pound saw some losses over Monday and has slipped to approximately 1% lower than its previous position against other currencies, the changes are not disastrous and the chances are good that the influence on currency markets will be minimal. CMC Markets’ Michael Hewson told Radio 5 on 25 February that ‘this is a political sideshow rather than an economic sideshow.’ The pound’s fall had begun before the downgrade – there was a 10 US cent drop in the value of the pound between the start of 2013 and Moody’s news. To the degree that there has been a direct economic effect it has been a self-stoking effect on sovereign debt, which has weakened since the downgrade as British gilt bonds saw a slight rise in yields, a measure of the interest rate on the bond. However the effect of foreign investors will be to offer a reward in the form of increased yields with one hand and punish with the other, in the form of reduced currency worth. Investors make more pounds, but they’re worth less. The most serious effects will come when the higher interest rates are passed down to consumers. In a housing market characterized by ‘stratified lockout’ – where potential renters cannot afford rent and potential buyers cannot get credit for mortgages – the new growth seen over 2012 could be undone if interest rates push the cost of borrowing beyond first-time buyers, an effect compounded by the modest rise in house prices seen in the first month of this year. In considering the likely effects we can look to case studies in France and in the US, which lost the Standard and Poor AAA rating it has held since 1941 on August 5 2011. In the US, markets suffered and there was a fall in international trading but the economy and the housing market have actually improved significantly since then. Meanwhile in France, there has been no disastrous drop in the price of houses or in the national economy. The real world consequences of the downgrade itself seem small. The effects are more likely to be political than anything else. Whatever knock-on effects are seen on markets are likely to be caused by events in government rather than by investors learning news they have been expecting for weeks anyway. In government, Mr. Osborne has been accused of evasive circular logic: Ed Balls said the Chancellor had ‘gone in a weekend from saying we must stick to his plan to avoid a downgrade, to saying that a downgrade means we must stick to his plan.’ In fact, Moody’s prediction that the Coalition’s fiscal consolidation programme would ‘extend well into the next parliament’ will be put to the test next year. The likelihood that Labour will make political capital out of the downgrade that will be meaningful at the next election is strong and that is likely to be the greatest effect of the loss of the rating to which Mr. Osborne once pinned his political credibility. This article was written by Les Calvert, who is the Director of Property Abroad and Homes Abroad and often writes articles and guides on buying international property. His 300+ websites feature over 250,000 properties for sale in more than 100 countries around the world. Visit his site at: Property-Abroad.com.